The rollout of 5G took a big step forward this week, according to Qualcomm, as the chip company said it had hit Gigabit speeds on a 5G modem chipset. 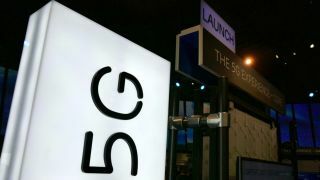 According to Cristiano Amon, executive vice president, Qualcomm Technologies, the company achieved the 1Gbps 5G data connection using the Snapdragon X50 5G modem chipset running on the 28GHz mmWave spectrum. The data connection trial was held at the company’s test lab in San Diego. Qualcomm worked with several 100MHz 5G carriers in establishing the connection. As well as using the Snapdragon X50 modem, the trial also utilized the SDR051 mmWave RF transceiver integrated circuit, Keysight Technologies’ new 5G Protocol R&D Toolset and UXM 5G Wireless Test Platform. In addition to the connectivity trial, Qualcomm also demonstrated its first 5G smartphone reference design. The Snapdragon X50 5G NR modem family is expected to support commercial launches of 5G smartphones and networks in the first half of 2019.